In a move to strengthen its position as the leading automobile industry with diversified promotions for brand management and strategic alliance, KIA Motors Nigeria partners Legendary Gold Limited on her forthcoming Nigerian Fashion Week. 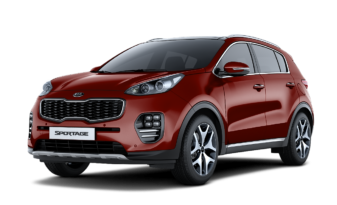 The leading Korean automobile company in Nigeria, Kia, is growing remarkably to become automobile giant in fashion-linked activities in the country. 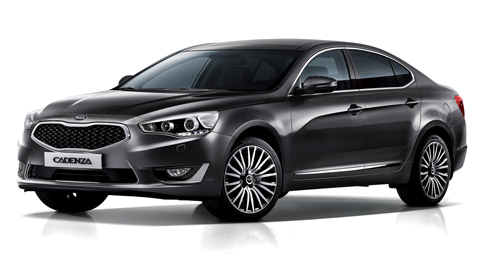 As the official car of the 2014 Nigerian Fashion Week, KIA partners Legendary Gold to bring to the fore, renowned international and local designers from the 19th to 21st of November, 2014 to the Lagos Oriental Hotel. The partnership is aimed at staging an elaborate cross-promotional effort, focusing on fashion for promoting, nurturing and representing the best of fashion and design talents in the country and its affiliation with the international trend. Associating with this event fits perfectly with Kia’s marketing and brand strategy, as it offers a seamless automobile experience to its customers and aim to provide the best mobility for the finest fashion design talents and other stake holders in Nigeria and promote their riveting collections by being the official car of the event. With the triumph of each succeeding chapter and a phenomenal platform to exchange ideas and experience for designers both local and international, the Nigerian Fashion Week continues to grow exponentially every year. The 12th edition is put together by Legendary Gold Limited in collaboration with the Federal Ministry of Trade & Investment, Culture & Tourism, Nigerian Export Promotion Council and the World Fashion Organization. The Nigeria Fashion Week is the biggest fashion event in Nigeria with reputable national and international partners and collaborators. It has been a huge platform for manufacturers of garments, fabrics, fashion accessories, hair and beauty products to display their outstanding capabilities. Annually, it brings stakeholders in the fashion, beauty and hair industries together with the goal of creating a vibrant market by linking manufacturers, wholesalers, retailers and the end users. KIA Motors Nigeria has always believed in creating incredible experiences around its brand and this association will further her positioning of being the most practical and vibrant automobile company in Nigeria. “Being the official Car for the 12th edition of the Nigerian Fashion Week, we look forward to a range of opportunities for collaboration with many a talented designers associated with this prestigious event”, said Mr Sandeep Malhotra, the Chief Commercial Officer, Kia Motors Nigeria. “Through this association, KIA Motors Nigeria aims to provide the best mobility for the finest fashion design talents and other stake holders in Nigeria and promote their riveting collections by being the official car of the event” Continued by Mr. Sandeep. The nexus between automobile and fashion is profound as great designers and great automakers alike know that innovation isn’t simply a matter of keeping with trend, nor is leadership simply a matter of heading in a linear direction. True innovation has immediate impact and lasting value. It opens minds to possibilities and that is true of Kia’s strides in the automobile industry in the world over. 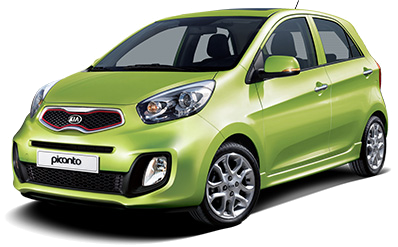 KIA Partners Diamond Bank on Auto Loan Scheme for EMI as low as N37,000. 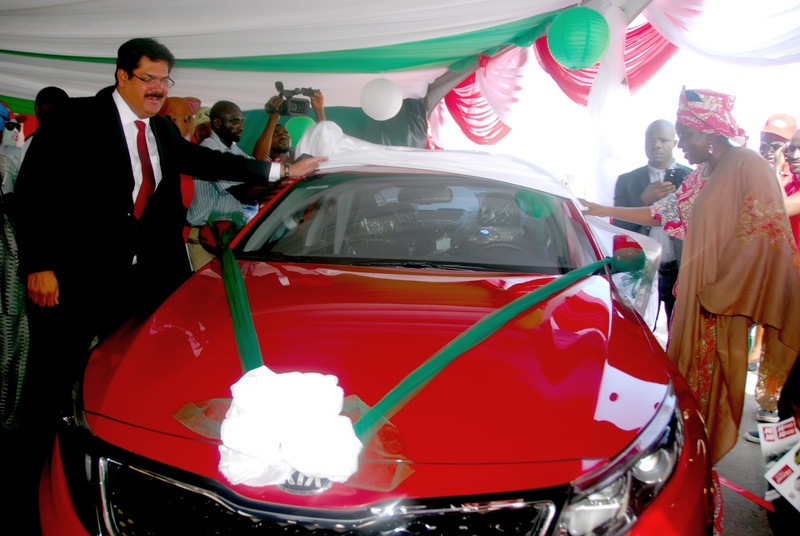 In the mix of various auto loan schemes presented to the publics, Kia Motors Nigeria partnership with Diamond bank offers a unique yet outstanding auto loan scheme. The partnership is aimed at giving an auto financing experience that is simplified and significantly enhanced for the customer. According to the Chief Commercial Officer of Kia Motors Nigeria, Mr. Sandeep Malhotra, “the key motive behind this partnership is to bring car enthusiasts under the fold. This partnership will phase out tedious loan processing with flexible repayment plans, hassle-free documentation and quick processing to suit customers’ needs and most importantly give the best payment plan option starting from N37,000 monthly repayment plan”. Kia Motors Nigeria has remained the leading automobile company in the country to offer seamless auto finance schemes to her discerning customers with flexible payment options. In view of this, the recently signed partnership agreement with Diamond bank allows customers to get a new Kia car with 20% equity contribution. With this collaboration, customers gets free vehicle registration, fixed repayment plan, no management fee, no commitment fee and a free smart phone on every purchase. “We’ve also worked out flexible payment plan options to enable our customers get any Kia car of their choice” said, Sandeep. The scheme starts from the 14th of November through the end on the 31st of December, 2014. This partnership will pave way for both new and existing customers of the KIA brand to own a new vehicle of their choice in celebrating the yuletide period. With this scheme, customers can own a Rio or Picanto from as low as N37,000 fixed monthly repayment plan or Cerato, Optima and Sportage from as low as N57,000, N86,000 and N97,000 respectively. KIA Motors Nigeria prides itself on its deep understanding of customers’ needs across the country and has continuously aligned itself with their aspirations by making its vehicles affordable and accessible. Keying into this, the company has sealed an alliance with First City Monument Bank (FCMB) to offer an auto loan to teeming customers. More often than not, KIA Motors Nigeria has revolutionized the way people buy automobiles in Nigeria. For a decade, KIA Motors Nigeria has ensured discerning consumers in Nigeria have access to the Worlds latest and best automotive technology. As one stop shops for the best in automotive technology, KIA has ensured “The Power to Surprise” slogan holds true every single day. With this collaboration, KIA Motors Nigeria and FCMB are looking forward to developing financing options that will help customers own KIA brand from as low as N47,400 monthly repayment plan. The customers are presented with flexible payment plan options, free insurance, FCMB goody bag, and free vehicle registration. Weaved into this auto finance scheme is the standard 5 year warranty on all KIA vehicles. The new alliance with FCMB is an integral pillar of KIA’s business strategy to make it possible for the public to own a KIA brand with the best auto financing schemes. Speaking at the media launch, the Deputy Marketing Manager, KIA Motors Nigeria, Peter Ayewoh said ‘the alliance with FCMB has gone through a rigorous perusal aiming at giving the very best in auto financing scheme to customers. He further stated that the scheme will be able to strengthen KIA’s foothold in the country and consolidate its leadership position in the automobile retail industry. The Executive Director, Lagos and South West, FCMB, Mr. Olufemi Bakre explained that the partnership was borne out of an alliance between the two institutions. He further said: “FCMB has been a well acclaimed industry leader in consumer loan offering and this finance scheme is a viable alliance aimed at furthering the frontiers of delivering an exceptional customer experience”. By unifying its efforts towards delivering quality automobile technology and making it affordable to esteemed customers with the partnership with FCMB, KIA will be able to provide its uniquely built vehicles via the auto financing loan to the customers of FCMB and other teeming publics. Rooted in the stylishly sophisticated technology and affordability of its products, KIA is profoundly committed to realizing advanced technology capable of emerging as the best auto manufacturing company in the world over. By mobilizing its proven strengths in the domain of auto manufacturing, KIA will continue to supply quality vehicles to align with the aspirations of customers and exceed their expectations. Minister of State, FCT, Mrs. Olajumoke Akinjide, takes a Test Drive, deemed KIA Rio the “Peoples car”. KIA motors Nigeria unveiled its Made-in-Nigeria vehicles at the ongoing Abuja International Auto Fair at the Eagle Square in Abuja in a grand style, delivering to its brand slogan of “The Power to Surprise”. Fulfilling the promise made to the Nigerian enthusiasts and patrons that Made-in-Nigeria KIA will be available before the end of the year, KIA motors Nigeria delivered to its promise through platform of The Abuja International Auto Fair, it’s Made-in-Nigeria vehicles. The Made-in-Nigeria KIA vehicles, which included the Rio, Cerato and Optima were unveiled by the Honorable Minister of State for the Federal Capital Territory, FCT, Mrs. Olajumoke Akinjide, (representing the Vice President, Architect Namadi Sambo) who also had a test drive of the Made-in-Nigeria OPTIMA at an Open-to-the-Public unveiling in the Eagle Square during the Abuja Motor fair opening ceremony on Thursday, 23rd October 2014. Sitting ministers are generally chauffeured pretty much everywhere, so it was both spontaneous and auspicious when Mrs. Olajumoke Akinjide stepped into the red Made-in-Nigeria Optima and took a test drive within the Eagle Square in the company of the Chief Commercial Officer of KIA Motors Nigeria, Mr. Sandeep Malhotra, along with the Managing Director of BKG Exhibitions, Mr. Ifeanyi Agu and the Deputy Director of the National Automotive Council, Mr. P. B. Salau (representing the Director General of the National Automotive council). At the unveiling, Mrs. Olajumoke Akinjide expressed her delight and congratulated KIA Motors Nigeria for the made-in-Nigeria cars stating that they are “Very, Very good cars” and also adjudged Kia Rio, as “the People’s Car”. Upon exiting the car after the test drive, the Minister said “Wow, Beautiful ride, Very smooth…..this is a Great Car” and she was thrilled with admiration for the KIA SOUL by saying the model is “incredibly built to compliment the youth and the women”. The flagship model of Kia, The Quoris also caught the flair of the minister when she was shown around the luxury sedan by Mr. Sandeep Malhotra. Other dignitaries at the event also took a spin of the made-in-Nigeria KIA vehicles. 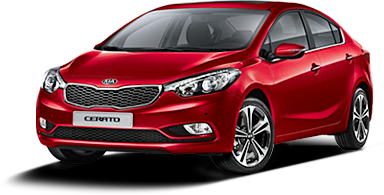 The stylish compact Rio, Cerato and Optima with thoroughly contemporary and distinctive styling, coupled with maximum versatility and cutting-edge safety and convenience features are truly innovative cars created keeping in mind the demands of modern living, while also adding a dash of spice to life. Mrs. Olajumoke Akinjide remarked that the made-in-Nigeria KIA brands are elegant and are at the vanguard of the transformation agenda of The President Mr Goodluck Jonathan. She further stated that the impressive stride of KIA Motors Nigeria in producing its Made-in-Nigeria vehicles will earn the company a lion’s share in the country. KIA staying true to its commitments offers full style and curvaceous elegance that perfectly captures the glamour of the present. KIA’s stylish, award-winning cars are engineered and designed to be an expression of individuality. Loaded with smart technologies, generous levels of convenience and safety equipment, they are as dependable and practical as they are desirable and distinctive. As an impeccable force in the automobile industry in Nigeria and the number one Korean brand in the country, KIA offers the best in world class vehicles that have always exceeded the expectations of customers and provide the best value for money. 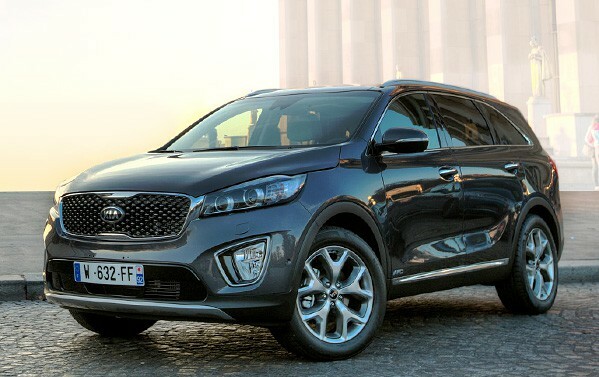 The core strength of the KIA vehicles is the undeniable satisfaction customers get from buying the brand.